If you're experiencing long-lasting, extreme fatigue, you may be suffering from chronic fatigue syndrome (CFS). 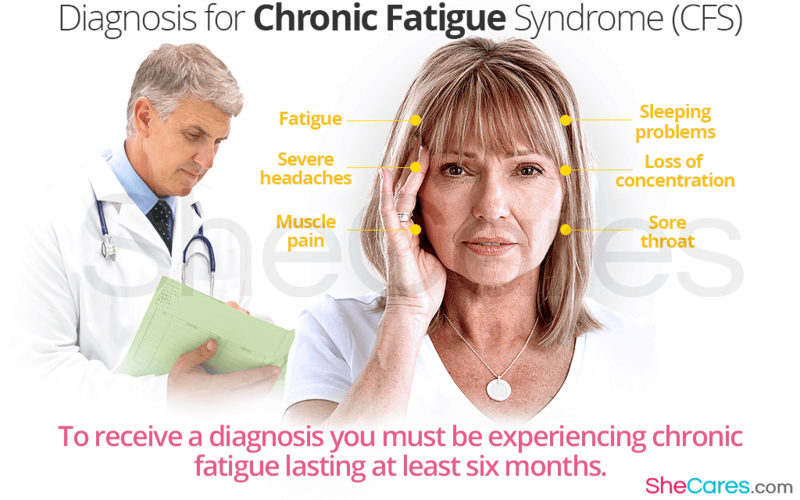 Visiting a doctor will begin the process of diagnosing chronic fatigue syndrome, but unfortunately, receiving a chronic fatigue diagnosis can take a long time. There are a few steps to diagnosing CFS, so read on to learn more. Chronic fatigue syndrome is a little-understood disorder that primarily causes long-lasting or chronic, extreme fatigue. This fatigue can be so intense that people suffering from the disorder have a hard time getting out of bed for days on end. The causes of CFS have not been determined, and it is thought that a combination of factors, including the body's response to stressors, is likely to be behind most, if not all cases of chronic fatigue. Most of these symptoms cannot be examined by the doctor, so you will be interviewed and asked about your experience with fatigue and pain in order to determine if you meet these criteria. However, before you can officially receive a CFS diagnosis, you must undergo some testing. Because there is no test that can reveal whether you are suffering from CFS, most of the testing you will undergo is to rule out other conditions that may cause similar fatigue and pain. CFS can often be confused with kidney disease, heart disease, Lyme disease, and a number of other conditions. Complete blood count (CBC) tests. A blood test that gives information about everything in the blood, this test may reveal markers consistent with chronic fatigue syndrome. Erythrocyte sedimentation rate (ESR). This test examines red blood cells to determine if there is inflammation in the body, which can be used to learn more about whether you have chronic fatigue syndrome. Chemistry panel. Another blood test, a chemistry panel provides information about your state of health in general. Once you have been diagnosed, you can begin to think about treatment. If you want to learn more about how to manage the condition, read about the best diet for chronic fatigue syndrome.